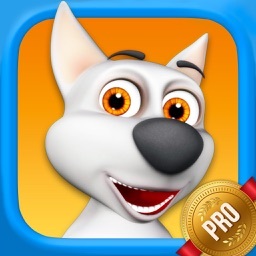 Talking animals and virtual pet games have received a new member! 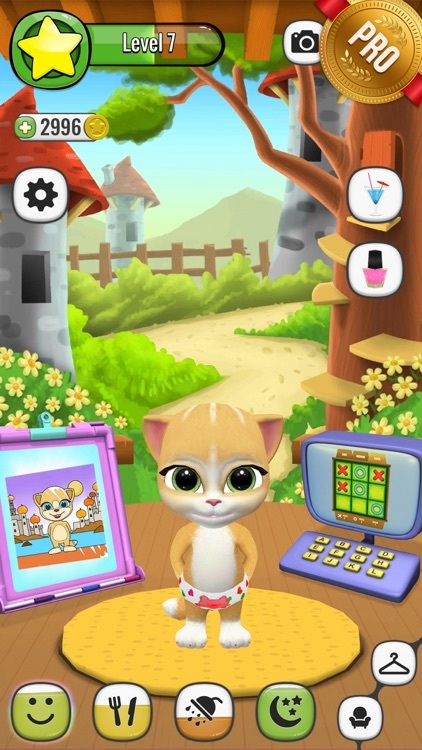 VIRTUAL CAT EMMA PRO is a talking pet so cute it WILL MAKE YOUR HEART MELT! Get it & enjoy! Ever since there is humanity, there have been discussions about which pet is better: cat or dog. Since you can hardly have both (they do not always like each other that much), you have to make a choice. Why do that? Just get yourself a virtual cat or virtual dog (or both!) and your real pet, if you have one, will not be jealous. Virtual pets games have many advantages and this is one of them. 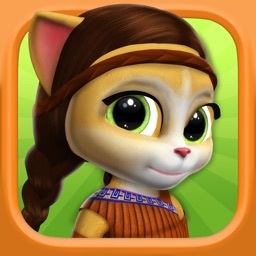 Emma The Cat - Virtual Pet PRO will be a great choice if you feel like playing with a virtual cat. 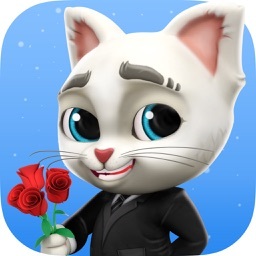 Mini games for kids inside this talking cat app will amaze you. 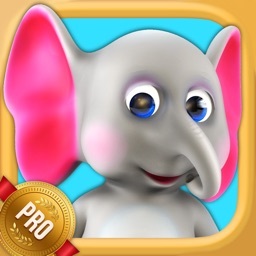 Don't pay attention to the fact that this is a kids game. The adults are only grown up children. 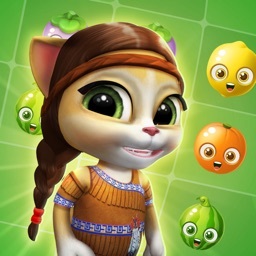 If you are a parent, you'll have an extra reason to download this cat talking game. Virtual pet Emma is waiting to win your heart! Don't let this cute little virtual cat wait for too long! Even Sigmund Freud said that time spent with cats is never wasted time. So get on it! 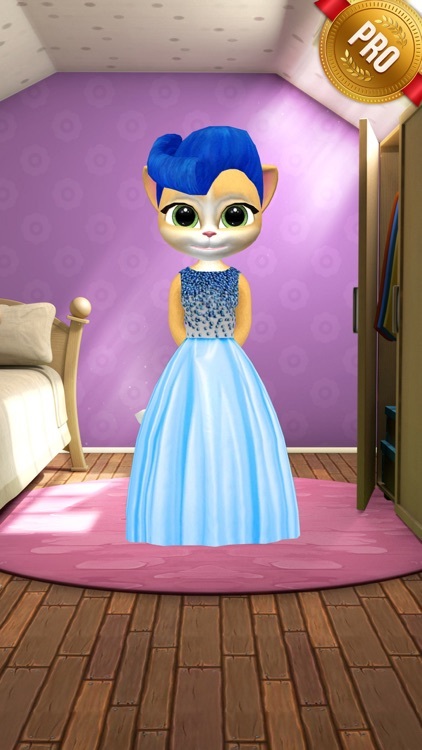 Play with Emma The Cat - Virtual Pet PRO and have fun! 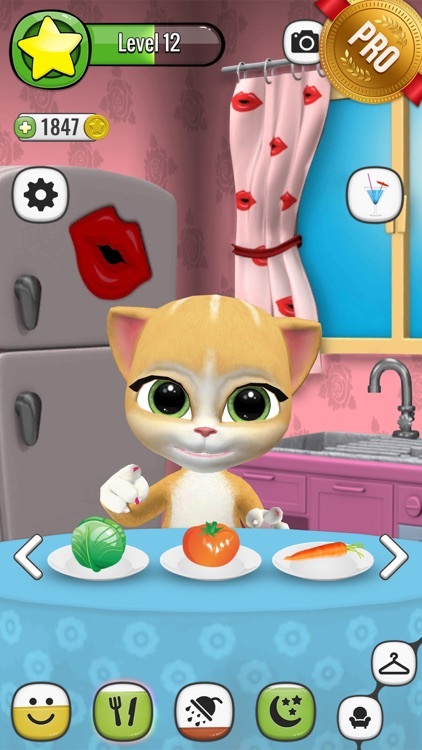 Emma The Cat - Virtual Pet PRO is an intellectual property of Peaksel.